The shed has a pent roof covered with our heavy-duty, heat-bonded felt and smooth exterior shiplap cladding coated in our Sikkens preservative stain in the shade of Grey. 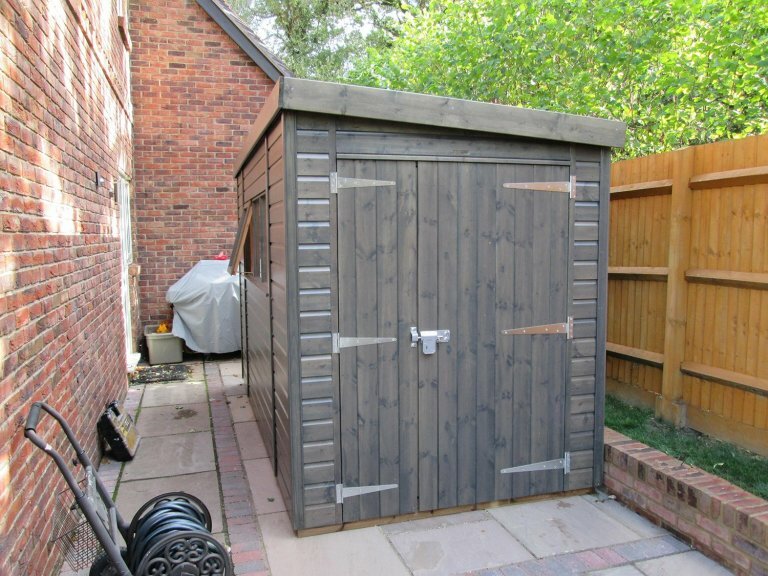 The preservative stain is a fantastic choice for anyone wanting to protect the exterior of their shed but also still allow the natural beauty of the wood to show through. 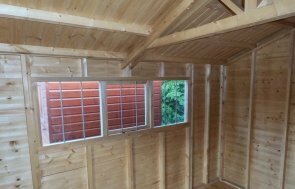 The customer also opted to add our security pack to the building, which consists of several features that enhance the security of the shed. These include a heavy-duty sliding bolt with a fully encased seven lever lock, stainless-steel window bars manufactured into the frame and ‘un-screw-able’ screws in the door hinges. 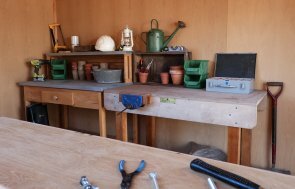 In order to browse our full range of garden buildings which also includes summerhouses and timber garages, we recommend that you pay us a visit at your nearest show site, where there are up to 25 different display buildings and a team of friendly advisors on hand to answer any queries you might have. In order to plan your visit, you can locate your nearest centre here, or get in touch with us on 01760 444229.